A little boy climbs into bed with a book and starts counting the train cars in it, between the engine and caboose. "Ten sleepy cars going clickety-clack," reads the refrain. But as the boy counts cars and gets sleepier and sleepier, his room looks more and more like one of the train cars from his book--the sleeping car, of course! 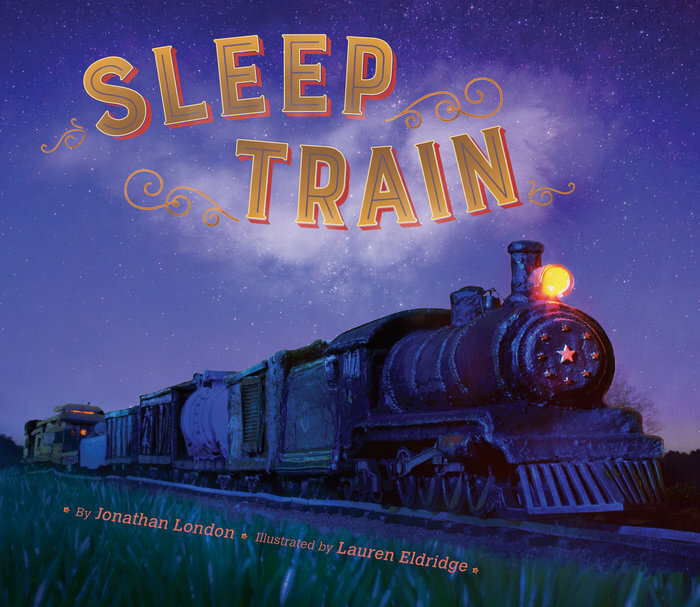 Rhythmically told by the author of the Froggy books, Sleep Train is also stunning to look at. 3D illustrator, Lauren Eldridge, has sculpted an entire train full of intricate details. Part bedtime story, part counting book, part children's fantasy, Sleep Train is a magical ride to dreamland.